Murder, property fraud, adultery, betrayal – Our House is brimming with suspense and twists. Fi arrives at her home to find a family moving into her house. The home she and Bram, her husband, had owned for years and had no intention of selling, suddenly belongs to someone else and Fi cannot account for how that happened. And the surprises for Fi keep coming: Bram has disappeared without a trace and so have her two young boys! As we follow the story through a podcast by Fi and a Word document/letter from Bram, we are taken on a roller coaster ride into how this story has come to be. This is a gripping psychological thriller with an unusual though highly plausible storyline. The plot twists are warped yet believable. The story is truly frightening because it could really happen – and to anyone. I haven’t read a Louise Candlish novel before. This one was a good start. 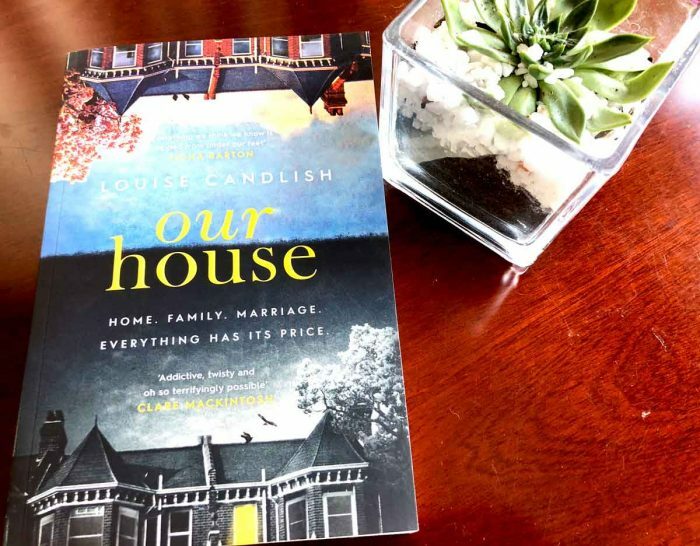 Our House by Louise Candlish is published by Simon & Shuster.